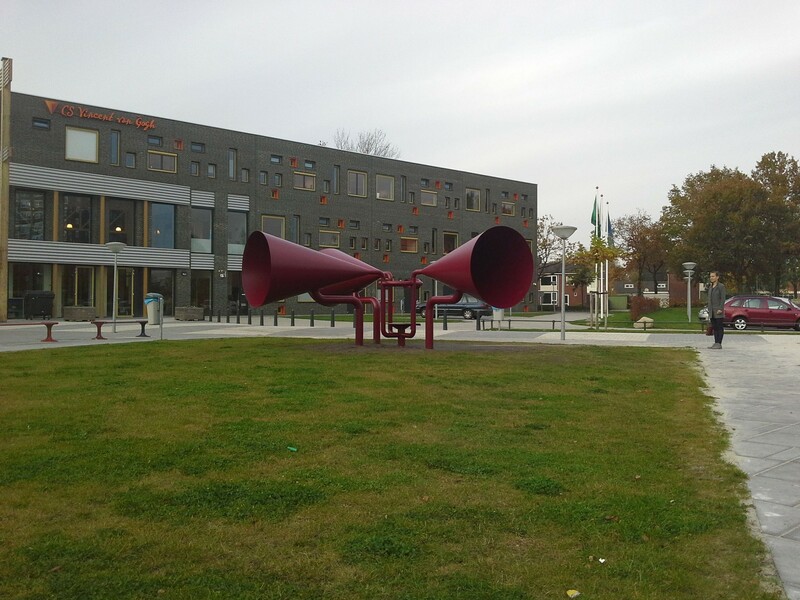 The three horns are connected to a tube to which two listening shells are assembled, thus you listen to a balanced mix of sounds that are produced in and around a school. 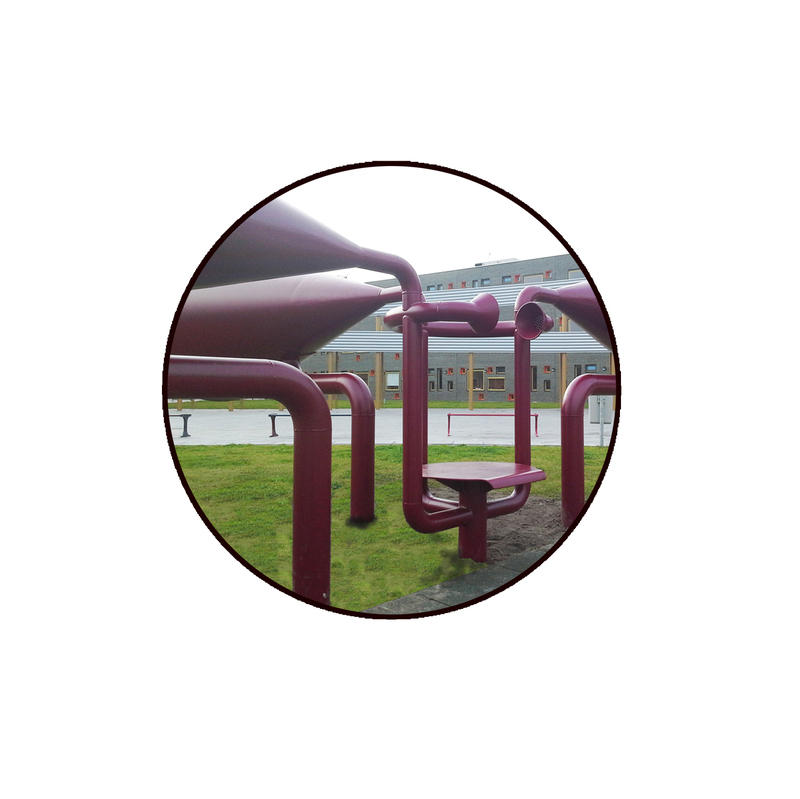 TOON consists of three conical horns that are placed in a construction around a seat. The listener can sit and listen to three different audio sources of Vincent van Gogh college. 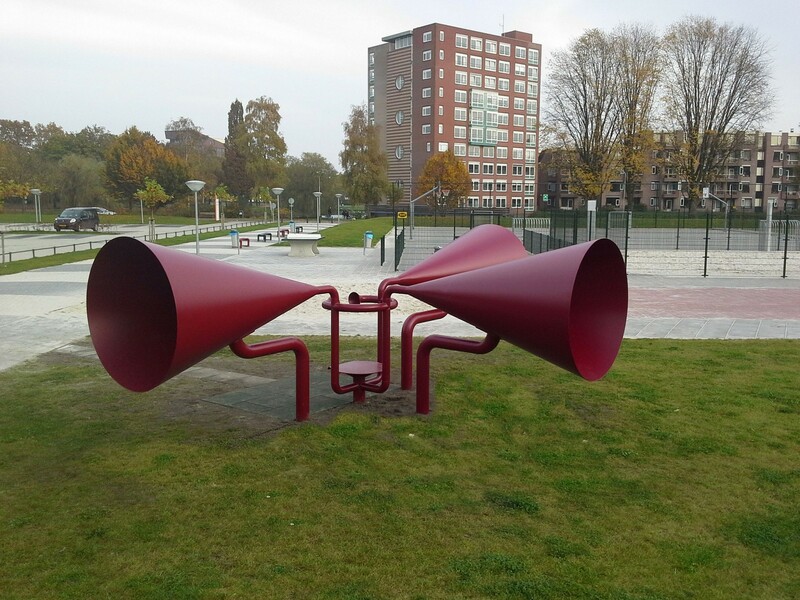 These are sounds of sporting children from the playing fields, children and passers-by from the adjacent park and gymnasium and sounds of children who leave school.